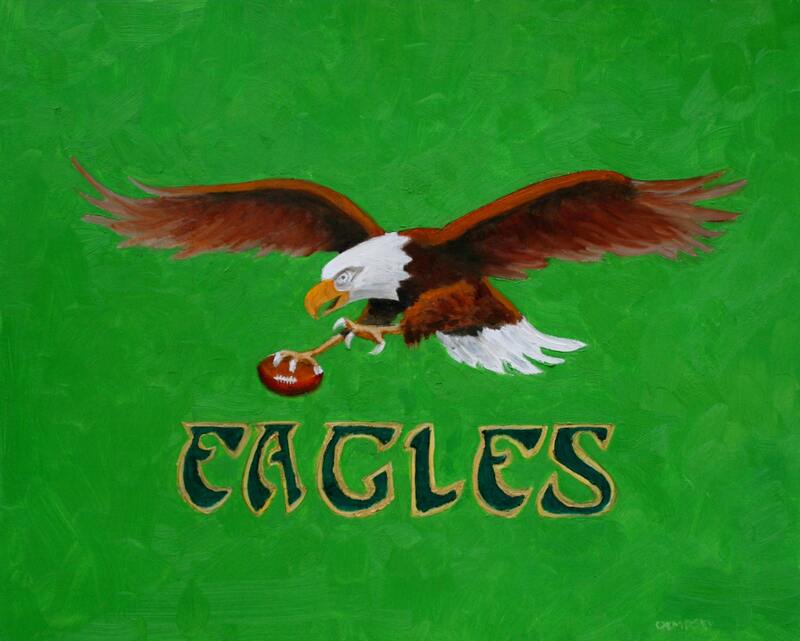 Perfect for a man cave belonging to a football fan discerning enough (or cursed by birth) to be an Eagles fan. 1960 World Champions, bucko. Top that! Wait...what? Anyway, this is an ode to the throwback look. Kelly Green, baby! Vintage!!! The painting is twenty inches wide by sixteen inches high. It is an oil on a board. I can also offer a print of the painting. The print is ten inches wide by eight inches high. It is matted, so the final dimensions are fourteen inches wide by eleven inches tall. When the paint dries, I plan to mount it in a gleaming (solid) gold frame. Ok,not solid. And will also offer it, thusly.